Some skills aren’t supposed to be learned. 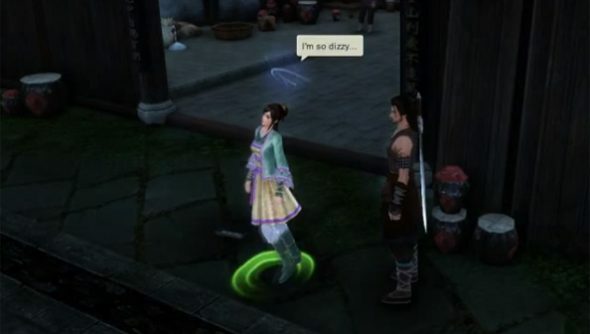 Our Paul touched on kidnapping in his Age of Wulin preview, but he didn’t bring out the PCGamesN blackboard and help us revise the finer points of its execution because he’s not awful. Developers Suzhou Snail don’t suffer from the same moral tics, however, and have put together a how-to guide. The ingenious in-game system sees offline players become NPCs, and consequently easy targets for enterprising and amoral young men like our friend in the video above. Once targets are be-sacked, though, an icon marks the player as a ne’er-do-well for all to see and hunt down. Read the whole guide here. Kidnapping “isn’t for everyone”, warn Snail, and you “can’t sell a person back to the store or business you took them from”. So there’s that to think about. I imagine I’ve already been filed away on a government list somewhere since clicking that link, and rightly so. It’s a clever old mechanic though, eh?